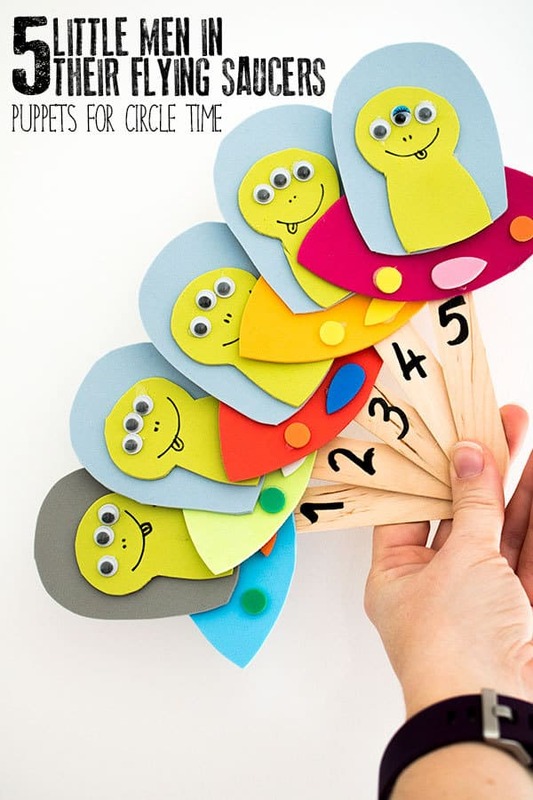 Using props with songs and rhymes is a great way for children to interact further with the rhymes which are one of the best ways to help with language development with babies and toddlers. 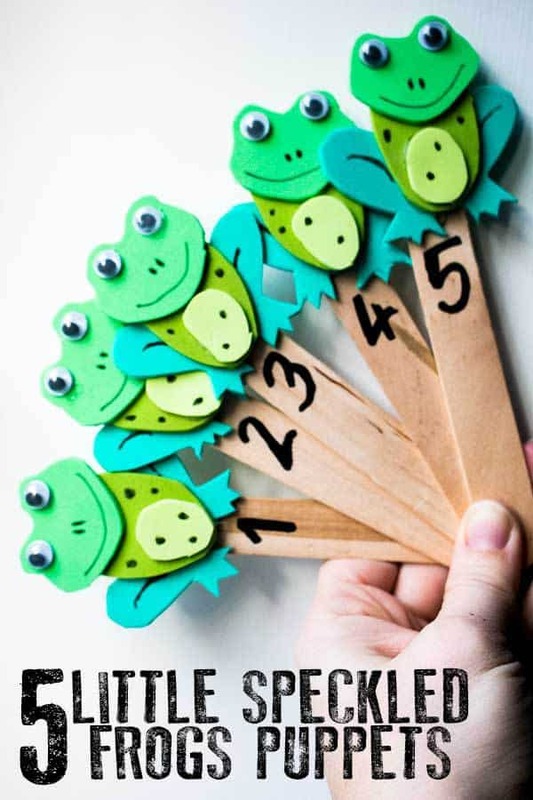 Using rhymes that also involve counting and numbers help to start to develop a good number sense later in life. 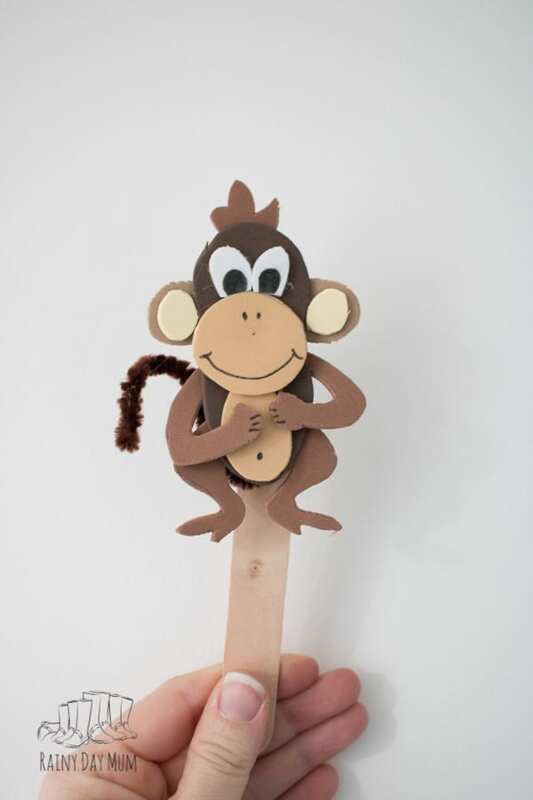 Although it’s possible to buy props and puppets to go with the classic rhymes it’s fun to create your own and whether you are a parent, carer or educator these little Five Little Monkey Puppets are a fun addition to this popular children’s rhyme. 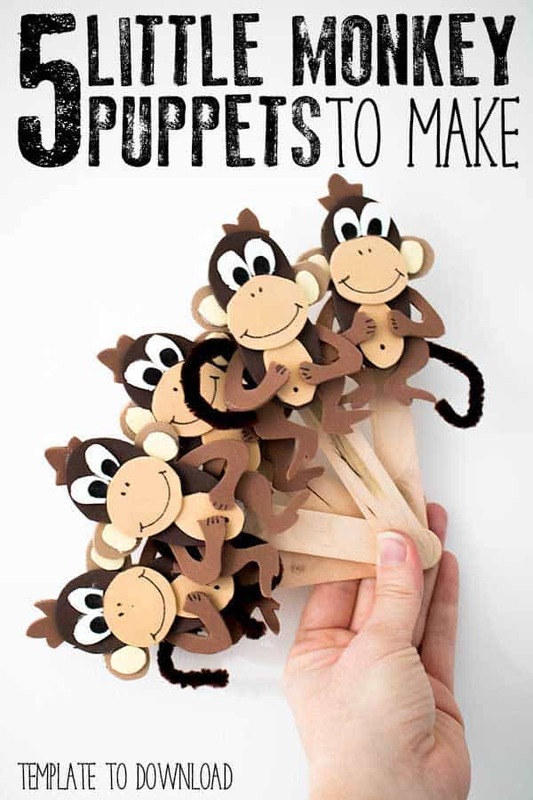 Discover more Nursery Rhyme Crafts for you and the Kids to make. 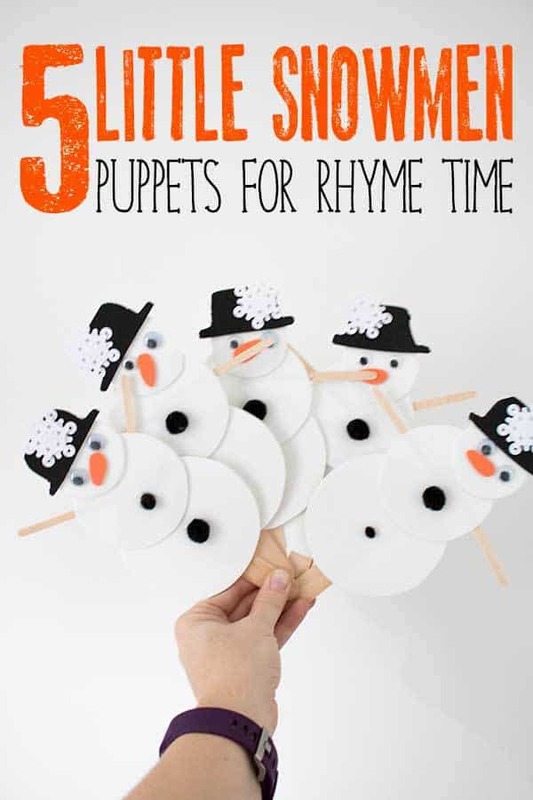 This is such a fun rhyme and I must admit when my children were babies and toddlers we had lots of fun jumping on our bed whilst we sang this first thing in the morning as a wake-up song and then used little puppets like the ones we’re going to make here for some rhyme time together. One fell off and banged her head! More Classic Nursery Rhymes for Babies and Toddlers to sing together. We have included affiliate links to products and resources we recommend. If you purchase via this link we may earn a small commission. 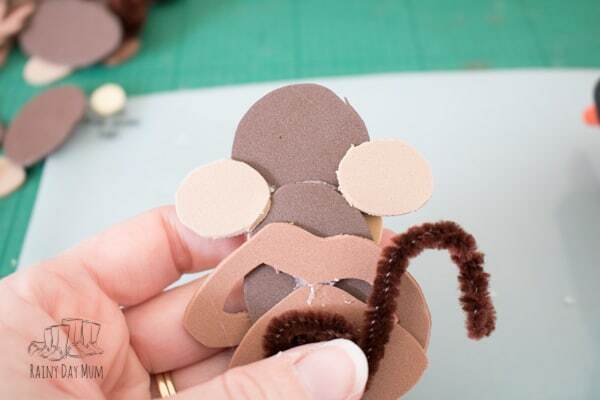 As these are the most difficult puppets we have made I have included a template which has the parts that I used to make our puppets – this will make the cutting out easier and less time-consuming. 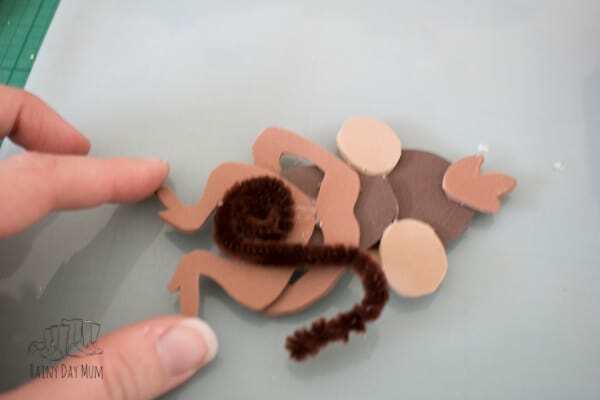 Print-out the Monkey Parts Template. Cut out each part using a craft knife to get nice clean edges. You will have the following parts – 1 eye, 1 outer ear, 1 inner ear, legs, arms, body, inner body, main face, mouth part, hair. 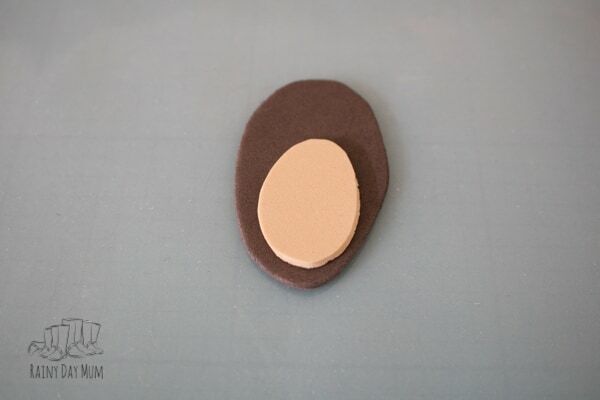 Choose the colours of craft foam you will use to make the different sections – the eyes are made on white craft foam. Draw around the parts. The eyes, Outer Ear, and Inner Ear all need to be doubled up so 10 of each part. 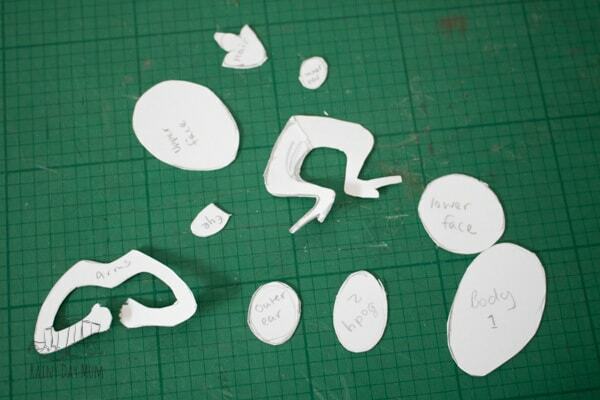 Once you have the parts drawn around 5 copies of each apart from those mentioned in step 5 it’s time to cut them out. Using the craft knife cut out all of the parts. On the eyes using a black marker colour in part of the eye to be the black pupil. 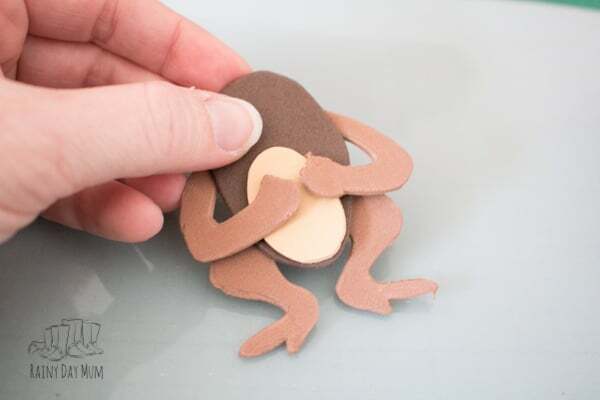 Now put your monkey together. 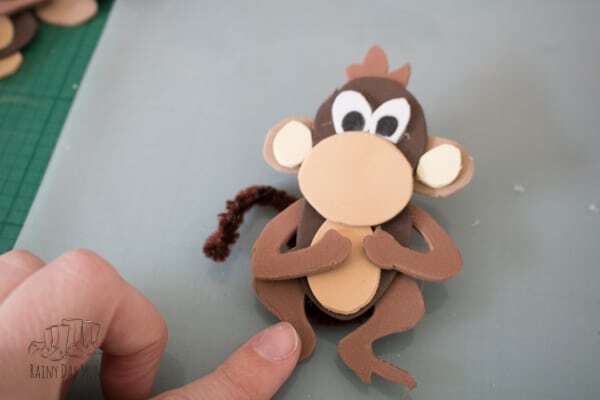 Start with the body and attach the inner body part to it with the hot glue gun. 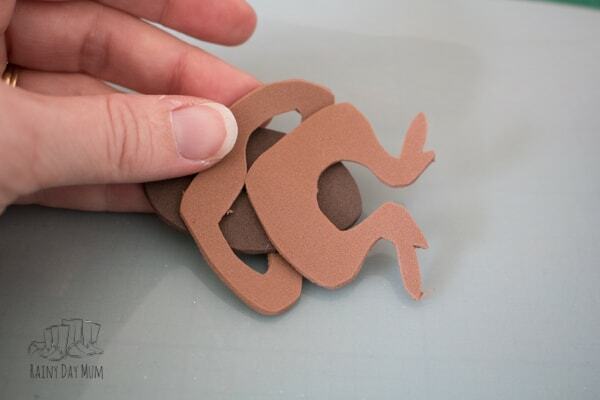 Turn your body over and position the legs and glue these in place. 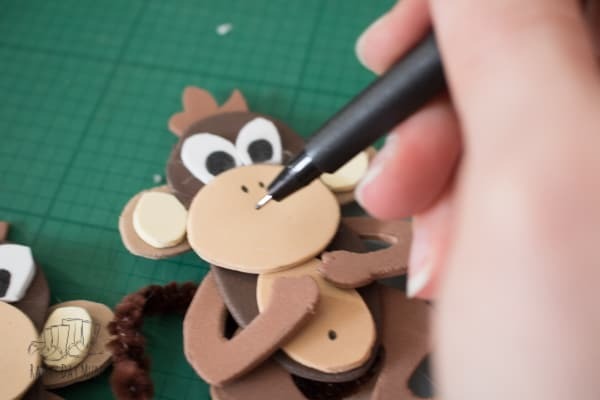 Now directly above attach the centre of the arms and then position the arms to go around the front of the monkey’s body. 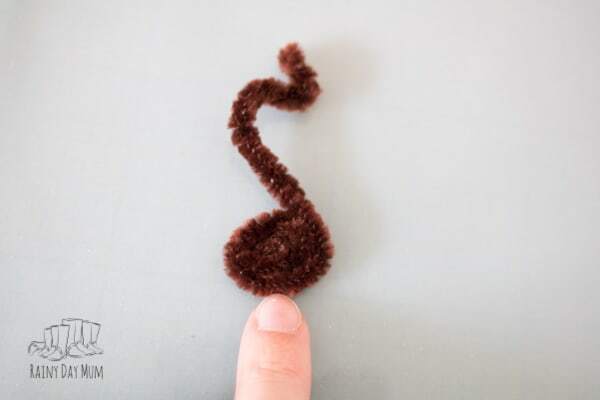 Take a pipe cleaner, fold in half. 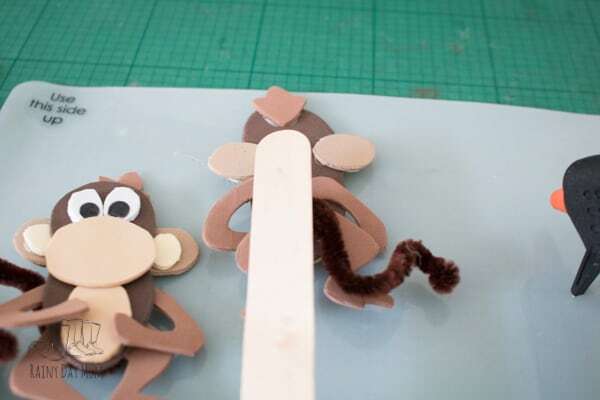 At one end curl up to make it easy to attach to the monkey. 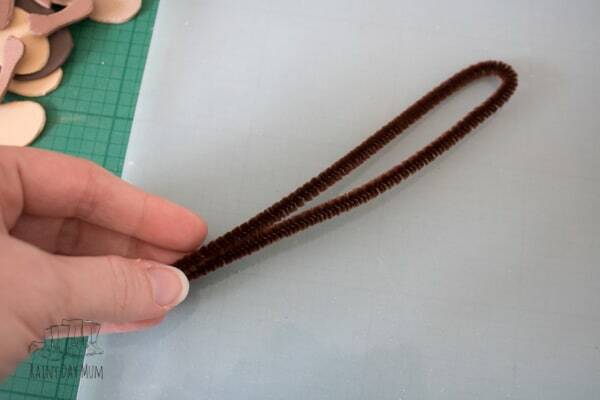 Attach this part to the centre of the legs at the back and bend the tail to how you want. 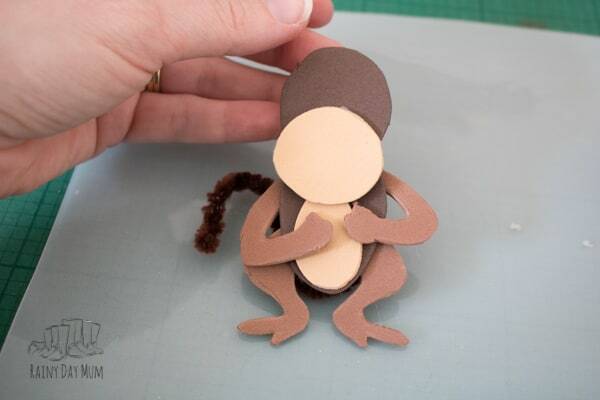 Turn the monkey around to the front and attach the main face with the point towards the legs. Glue on the mouth part over the top of the main face. Add the two eyes above the mouth part. Turn the monkey over and glue on the ears behind the face part. Attach the hair tuft at the top of the head. Turn the monkey over and attach the inner ears to each ear. Make up all 5 monkeys following steps 10 to 22. 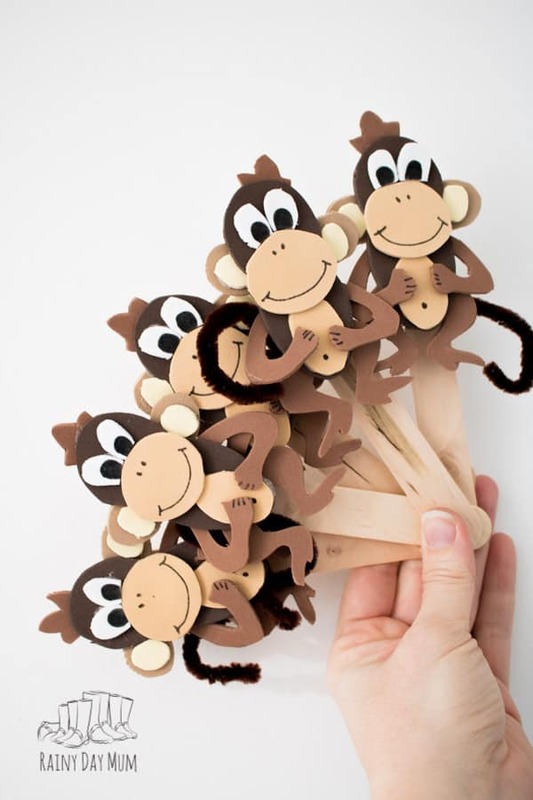 On the back of each monkey attach a large craft stick. 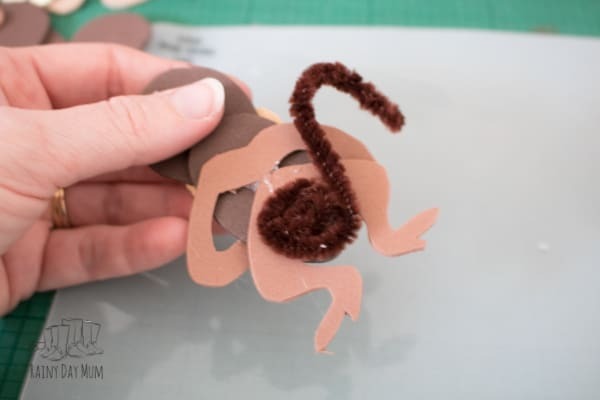 Turn around and add some features to the monkeys – a belly button, nostrils and large smiling mouth. I also added some lines for the fingers on the monkeys hands. 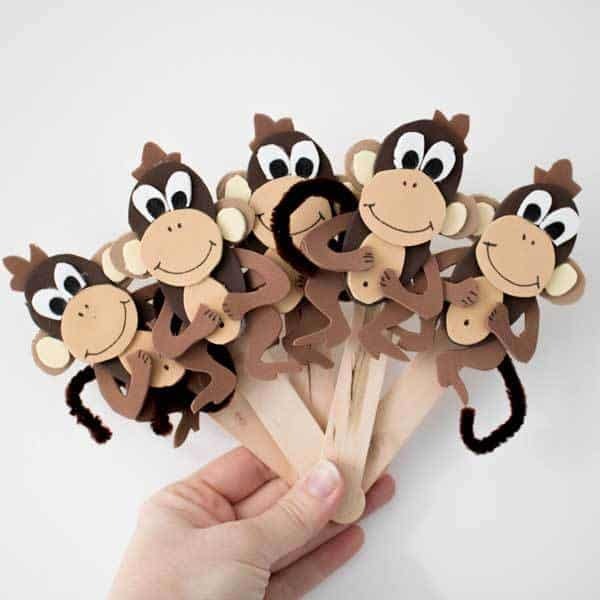 You are now ready to play with your Five Little Monkeys and sing along to the rhyme. 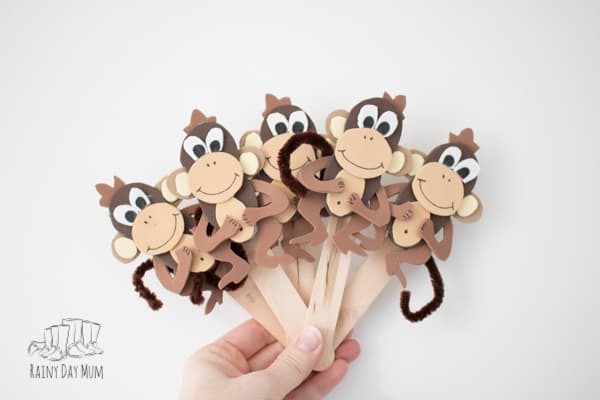 These monkey puppets could also be used in play. 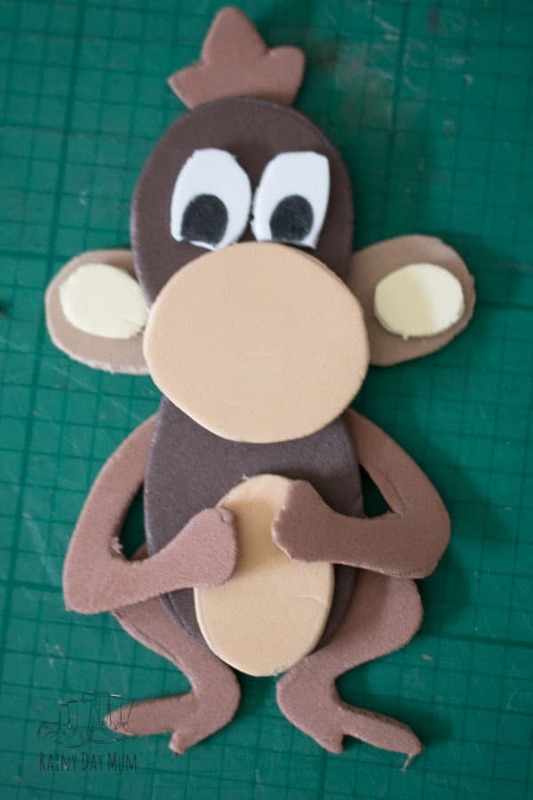 Looking for a craft for your child to do make a Paper Plate Monkey Face as well. I think they are kind of cute!! Thanks for the idea.